When we decided to breed Austen to Danno we expected to get some very nice puppies. They both brought amazing head pieces, bone, substance, balance, beautiful angles and great temperaments to the table. All the things we look for in every breeding were present in spades with this one. We expected to get something special. We expected to be wowed about this step in our breeding program. We expected to lock in some of the traits we have been coveting. But we didn't expect O'Henry. Every breeder has hopes and dreams of producing that amazing dog and as breeders, we have been blessed that way over and over again. Occasionally I'm at loss for words to explain what a dog represents to our breeding program. With O'Henry, I think I could drone on for paragraph after paragraph. So I think it best to just let his pictures speak for himself before I bore our faithful followers. 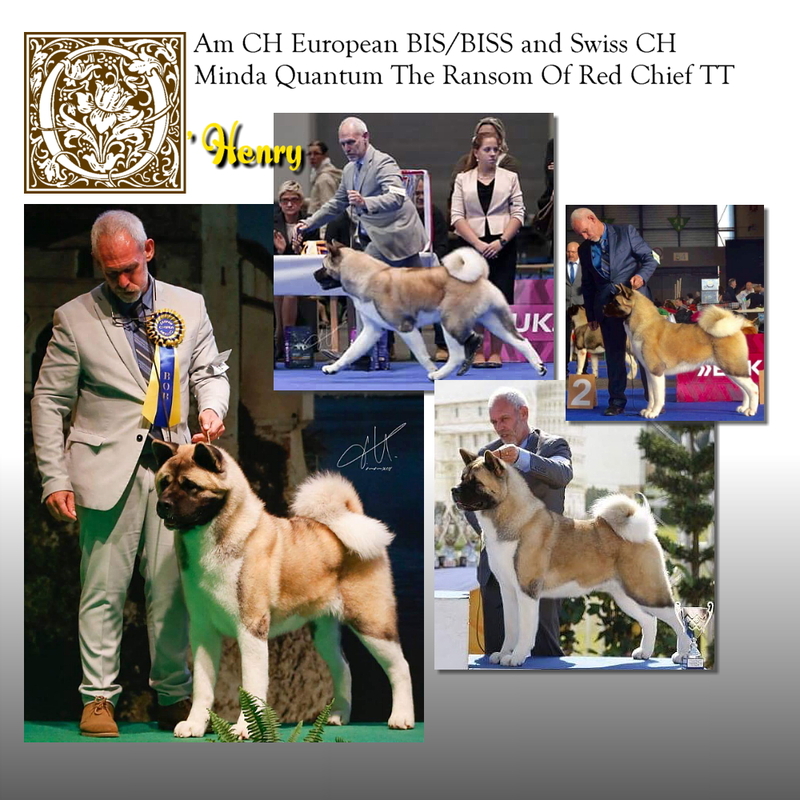 His show debut was the February 2016 Golden Gate Akita Club Specialty where he was Best Puppy, Best In Sweeps, Best of Winners and came away with three majors for the weekend. He was just over nine months and not sure he was in love with the show. He has more fun at Tractor Supply. Time will tell where his career goes but one thing is certain, he's never going far from us. O'Henry finished with 5 majors! Details and updated photos to come!